The second match of the 2019 CEV Cup Final will take place in Turkey on Tuesday March 26th. After the 3-0 victory in the first match six days ago at BLM Group Arena, Trentino Itas will play at the Burhan Felek Voleybol Salonu in Istanbul the second of the two matches that will decide the winner of the second (only after Champions League) most important european club title. The match starts at 6pm CET, live on Radio Dolomiti and live streaming on DAZN. HERE TRENTINO ITAS The three set victory achieved on Tuesday night allowed the Yellow-blue team to come closer to the the goal of writing its name in the history of european competitions, eight years after the last time. 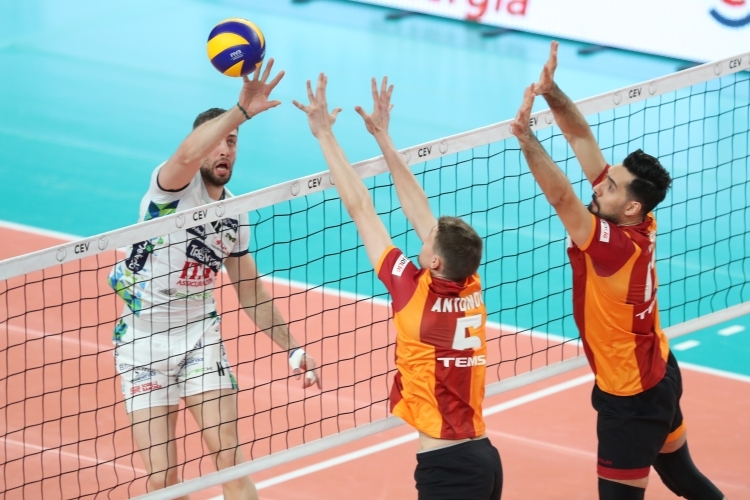 To actually reach the goal, Trentino Itas will have to perform at its best and win in stadium that so far has always been Galatasaray succeed during this CEV Cup. “In the first match we did delivered all the way through and built a small advantage, but it won’t be enough. What happened in Tours two years ago taught us a very important lesson - stated coach Angelo Lorenzetti - . We expect a totally different game, in a very hot arena, against an opponent that will have recovered energy and focus; actually the true final is the one we’ll play in Turkey. We must read it well, have the correct approach and never let the guard down. We want this match to end differently from two years ago”. The team arrived in Istanbul on Sunday night with all the thirteen players and will train on the match court on Monday afternoon and again on Tuesday morning for the pre game training session. Two important moments to get to know an arena that is not enormous but can host many fans. FIFTH AWAY MATCH IN TURKEY EVER FOR TRENTINO VOLLEY This is the fifth away match ever in Turkey for Trentino Volley and the most recent was no earlier than this February 1st, in Izmir against Arkas for the pool phase of the Champions League; last time the team went to Istanbul was on March 1st 2017 (2-3 defeat against Fenerbahce in the return match of the 2017 CEV Cup semifinals). The first match ever in Turkey dates back to December 15th 2004, when Itas Diatec Trentino was defeated 1-3 in Ankara during the eight finals of CEV Cup. 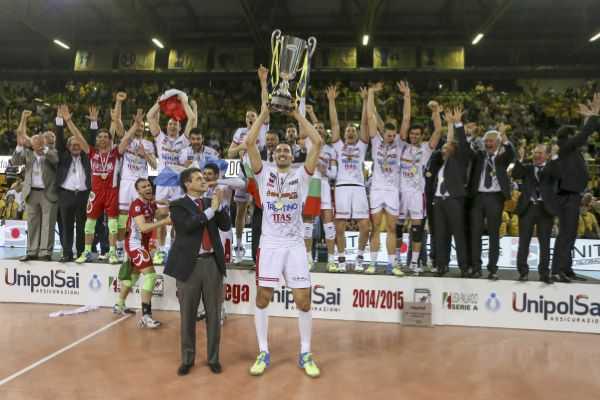 NUMBERS OF TRENTINO VOLLEY IN EUROPE Trentino Volley is playing its seventh European Final, the 12th international final ever. The match of Tuesday night will be the 124th in any european competition (84 in Champions League, 3 in Top teams and 36 in CEV Cup). So far the outcome is 99 victories against 24 defeats, the last one being on April 12th 2018 against Civitanova (Playoff 6). During the previous three participations to the CEV Cup Yellow-blues stopped at the eight finals in 2005 after a double defeat against Halkbank Ankara and played the final both in 2015 and 2017, against Dinamo and Tours. OPPONENTS Galatasaray awaits the World Champions in front of its public after an almost perfect 2019 home run: yellow-red team let the opponents only two sets (one to Aalst in the quarter-finals and one to Kemerovo in semi-finals) in the previous four European matches of the season, obtaining all three available points every single time. The Turkish team will rely on field factor in front of its warmest public and on recovering its energies to try turn it around. The hosting team haven’t played a single match in the last six days because Turkish championship has already ended (Galatasaray obtained the third place in ranking) and Play Off Scudetto will start in April. Galatasaray Istanbul’s roster: 1. Selcuk Keskin (s), 2. Muzaffer Yonet (s), 3. Melih Siratca (sp), 4. Ertugrul Gazi Metin (mb), 5. Oleg Antonov (sp), 6. Oliver Venno (o), 7. Justin William Duff (mb), 8. Onurcan Cakir (l), 9. Yasin Aydin (op), 10. Can Ayvazoglu (l), 11. Ozgur Turken, (sp), 12. Emin Gok (mb), 14. Selim Kalayci (op), 15. Roland Gergye (sp), 16. Ufuk Minici (op), 17. Dogukan Ulu (mb). Coach Nedim Ozbey. TRENTINO ITAS WILL WIN IF… 2019 CEV Cup is awarded in a going-return final match with the same rules of the previous five double turns (going and return matches) of knock-off matches (round of sixty-four, round of thirty-two, round of sixteen, quarter-finals, semi-finals): the team which will obtain the most points in the two matches (awarded just like in championship: 3 points for a 3-0 or 3-1 victory, 2 points for a tie-break victory and 1 for a tie-break defeat, golden set in case of a draw, just like during Play Offs 12 of CEV Champions League) will win the trophy. Trentino Itas will therefore need to win two sets at least to win the trophy after the 3-0 victory obtained in the going match. Golden set will be played only in case of Galatasaray winning in a maximum of four sets. PREVIOUS MATCHES The only one previous match between the two Clubs is dated back to March 19th (last week) at BLM Group Arena, won by Trentino Volley in three sets; yellow-blue Club faced Turkish teams ten times, taking into account of the five matches played versus Izmir (all of them won by the team from Trento), of the two played versus Halkbank Ankara (both lost) and the ones versus Fenerbahce (1-1); the overall balance says eight victories and two defeats. REFEREES The match will be whistled by Helio Ormonde, first Portuguese referee coming from Capelas Acorer and by the Romanian Benone Visan, second referee from Bucarest. Ormonde already whistled Trentino Volley in Teruel-Trento (0-3) on January 18th 2012, Trento-Red Star Belgrade (3-0) on October 25th 2012 and Trento-Lennik (3-0) on March 3rd 2016. RADIO AND INTERNET The match will be live broadcast on Radio Dolomiti, media partner of Trentino Volley, starting from 5.55 p.m. All the frequencies of the regional network and the live coverage of the match will be available by accessing the “on air” section of the site www.radiodolomiti.com. It will be possible to follow the match on DAZN as well. The platform requires your registration and offers a free month of trail (the service will then become on payment but there will always be the chance of cancelling your subscription); it is possible to associate up to six devices on a single account. For point-to-point updates you’ll just have to go to CEV official site by clicking at https://cevlive.cev.eu/DV_LiveScore.aspx?ID=31583, which will provide the live score, or by clicking at www.trentinovolley.it, which will offer a live coverage of the set as well for few minutes after the end of every single set. Updates will always be active on yellow-blue Social Networks (www.trentinovolley.it/facebook e www.trentinovolley.it/twitter). ABOUT FIFTY SUPPORTERS WILL FOLLOW THE TEAM About fifty supporters, who will reach Turkey this evening thanks to the package deal offered by Viaggi Bolgia – official yellow-blue sponsor – will follow live the third CEV Cup assault attempt of Trentino Volley.